Initially all the financial creditors and operational creditors excluding homebuyers could approach National Company Law Tribunal (shortly NCT) under the Insolvency and Bankruptcy Code, 2016. 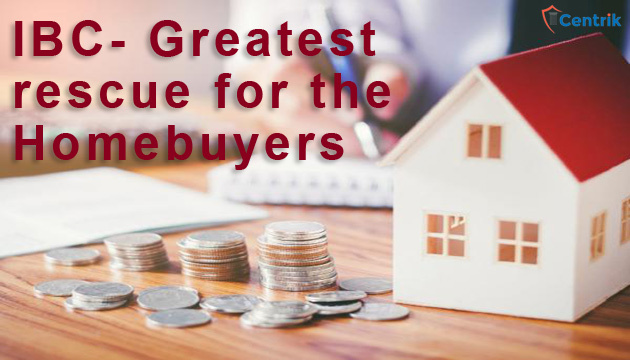 The amount paid by the homebuyers to the developer for the flat or unit was included into the category of financial debt, consequently the homebuyers fell under the category of financial creditors. After receiving the status of financial creditors, homebuyers approached NCLT against enormous developers and succeeded in commencing corporate insolvency resolution process against the developers’ companies. As per the judicial pronouncements and provisions of the IBC, homebuyers could not directly approach NCLT under IBC for the refund of their claims. Only those homebuyers who had assured return plan in the builder buyer agreement could directly approach NCLT. Otherwise, if there is no assured return plan incorporated into the builder buyer agreement entered into between the homebuyer and builder then firstly, the homebuyer had to approach Real Estate Regulatory Authority (shortly RERA) to seek refund. Once the refund orders from the RERA are passed in favor of the homebuyers, thereafter only the homebuyers were entitled to approach NCLT to initiate CIRP against the developers’ company. But this was a very time consuming process and involved a lot of hustle for those who wished to recover their amount back. Even RERA is rightly oriented towards project completion rather than passing the refund orders. Therefore the homebuyers are legally entitled to proceed and file insolvency petition against the developers to recover their amount. After referring to the above said amendment and decisions made by the adjudicating authorities, I believe homebuyers shall approach NCLT under IBC to initiate CIRP against the developers’ or builders’ company. Even if the element of assured return is present or absent in the builder buyer agreement homebuyers are legally entitled to commence Corporate Insolvency Resolution Process.